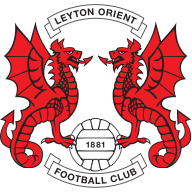 Highlights of Leyton Orient's 1-0 win over Yeovil in Sky Bet League Two. Leyton Orient snatched a late winner to end their season with a 1-0 victory at Yeovil. Ollie Palmer scored the only goal three minutes from time when his vicious drive flew past goalkeeper Artur Krysiak and in off the post. 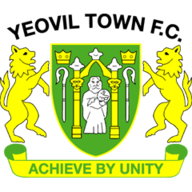 The goal came very much against the run of play, with Yeovil having created the better chances throughout, but with neither team having anything to play for the game lacked intensity from the first whistle. In a quiet first half, Liam Shephard came closest to giving Yeovil the lead when his long-range shot forced Sam Sargeant to tip around the post. Sargeant was called into action again shortly into the second half when Liam Walsh's 25-yard drive forced him to beat the ball away, before Orient came close as Peter Ramage headed a corner just over. Nathan Smith squandered a golden opportunity for the Glovers when he sent Walsh's corner flying over the bar, but a game that had a real end-of-season feel about it went to the visitors as Palmer struck the decisive blow.